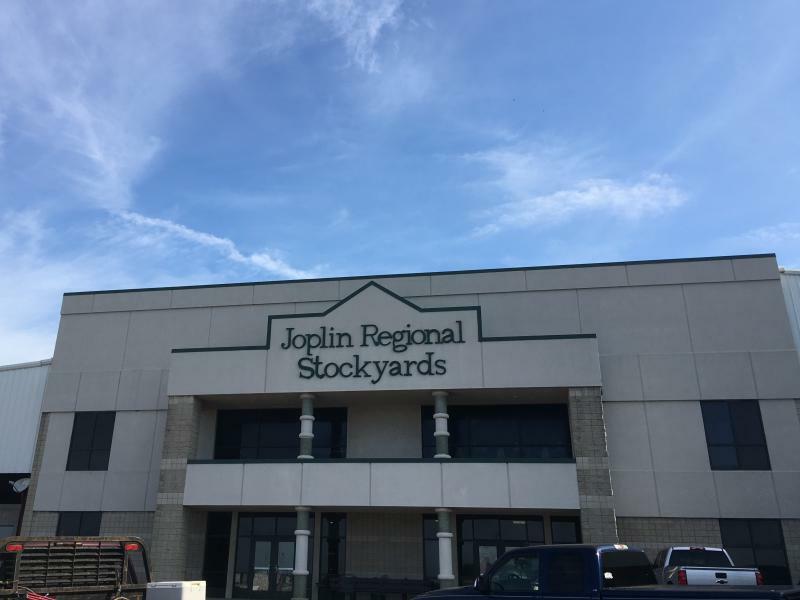 Cattle that'll be sold wait in pens at the Joplin Regional Stockyards in July 2018. About a quarter of the state started 2018 in a drought, and it’s only gotten worse from there. The Midwestern Regional Climate Center said Joplin has received 9.65 inches of rain since April — on track to be in the 10 driest periods of the last 100 years. It’s bad enough that Gov. 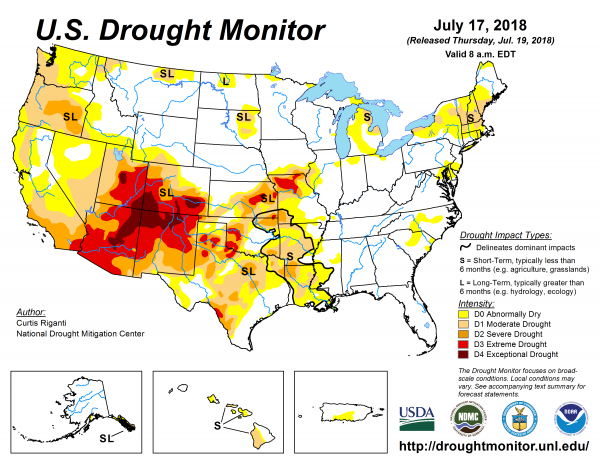 Mike Parson signed an executive order Wednesday that declared a drought alert for 47 counties (northern Missouri is particularly dry, according to the latest U.S. Drought Monitor map). Missouri isn't alone: Central Kansas has opened up land set aside for conservation so cattle can graze and southeastern Colorado is seeing exceptional drought. 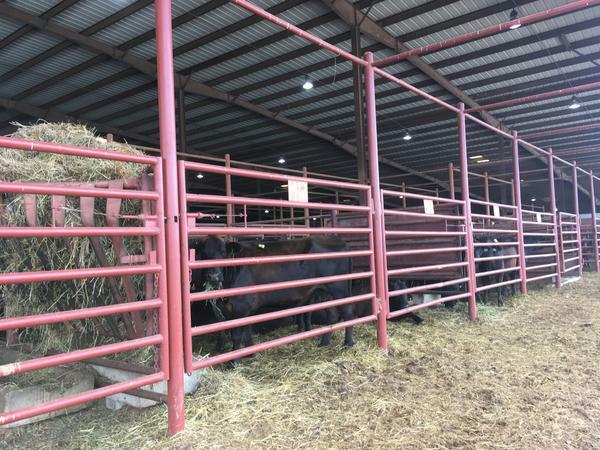 At issue for cattle farmers in Missouri is the fact that the weather didn’t cooperate during the hay-growing season — too cold, then too hot, Ozarks Public Radio reported — meaning farmers are having to dip into their reserves months before they normally would. He also noted that the rain isn’t as consistent as it used to be, and the combination is leading cattle producers to cull their herds. “They’re going to go through and take off the cows that aren’t producing,” he said. 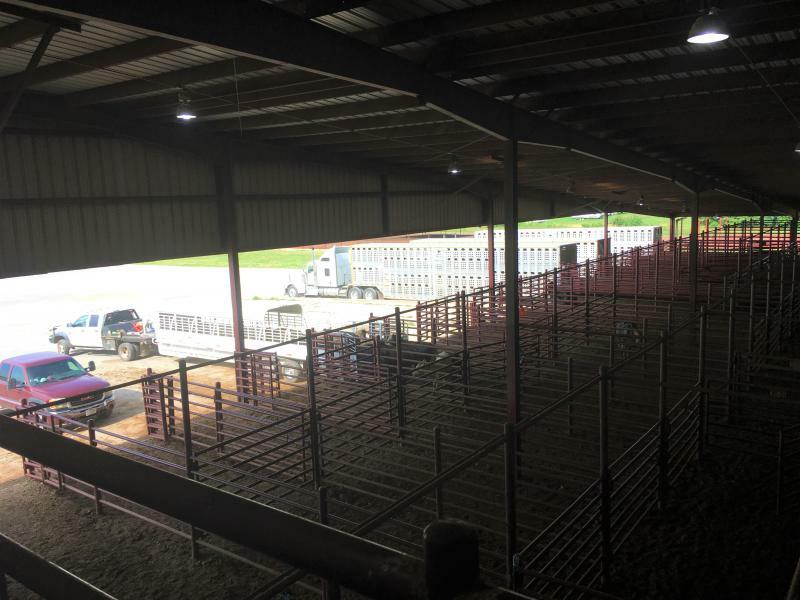 Those cows will be sold at a stockyard, like the one outside of Joplin, and either shipped to meatpacking plants or feedlots or the younger ones will be purchased by farmers. Bryan Peake with the Midwestern Regional Climate Center said the drought is making for low-quality pasture conditions in Missouri and is causing water supply issues. “The short-term implications can certainly have quite a bit of an effect on cattle,” he said. Kansas Farm Service Agency conservation specialist Rod Winkler told the Kansas News Service earlier this week that drought is slowing grass growth, which is why the state is allowing farmers to graze on land set aside in the federal Conservation Reserve Program. Peake warned the drought could get worse. “The official Climate Prediction Center Forecast for the upcoming month and then for the upcoming three-month period … is favoring below normal precipitation across the state of Missouri,” he said. He also noted that, in the short-term, Joplin is looking worse than it did in two notable drought periods, 1988 and 2012. Joplin’s other driest periods on record, Peake said, came in the 1920s and 30s — the Dust Bowl era. Even though part of the culling is due to the fact that herds were “ramped up” because of higher profits margins in recent years, Moore said, he knows cattle producers in southwest Missouri are concerned. High Plains Public Radio’s Ben Kuebrich in Garden City, Kansas, contributed to this report. This story has been corrected to show that the stockyard usually sells between 800 to 900 cattle a week, not 8,000 to 9,000; and that it sold 430,000 head in 2017, not 43,000.